Experience a one-of-a-kind serenity with the calming Esalen massage from Spiritual Massage in Fort Walton Beach, Florida. For athletes and people with active lifestyle, we also offer our body-invigorating Sports massage. Esalen Massage is a unique holistic experience every time. I am an artist and your beautiful body is my canvas. Our Esalen Massage elevates your mood, and heightens your awareness for deepest relaxation. An artful body communication between client and therapist. It's effect deepens the level of connection between therapist and client while elevating your body and mind awareness, producing a mesmerizing hypnotic feeling. Esalen starts with deep breathing to helps stimulate the brain's natural alpha waves and central nervous system in much the same way meditation does, and involves slow long sweeps from head to toe with extended calming pauses and a 3-D effect. A 90 minute or 2-hr, r 3-hr apt is required for this medium pressure modality. Esalen Massage is a rare holistic modality with heightened results and a uniquely transformative meditative state at its completion. Heated oils are used to enhance sensation. And only 100% pure Coconut Oil is used! 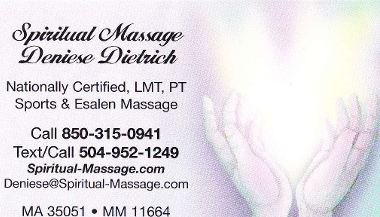 Esaeln is also the best gluteus maximus massage in the industry! Draping optional with this modality only. Minimum 90 minute or 2 hour apt. Combine with a hot invigorating shower to maximize benefit, when available. (Add $5). You will feel absolutely amazing with this modality. It's unique to the area and a highly specialized modality made to produce a deeply relaxing invigorated feeling you will want to experience again and again. Add our Sports Massage to your overall health routine for maximum fitness benefit. For today’s serious sports enthusiasts, we offer the Sports massage pre-event and post-event techniques to help boost and condition your whole body. Get your circulation optimized and your muscles primed before your sports event with our pre-event massaging procedure. Meanwhile, our post-sports massage aids tremendously for your body’s quick recovery. Sixteen Therapeutic Stretches incorporated. Hot/Cold compresses using moist heat, ice or hydrotherapy and quality topical products available for stiff sore muscles. ASHIATSU Barefoot Deep Pressure Compressions. This modality is scrumptious! The deep pressure compression on your large muscle groups sends the blood coarsing through your entire body for an immediate absolute invigorating effect from head to foot. It softens and preps the muscles for the massage while sending you to a deep state of relaxation while priming the muscles and the body. A uniqe modality you're sure to love. Ideally suited for muscular or dense bodies or anyone that craves deep pressure. I only do the deep compression part of Ashiatsu which is 10-20 minutes at the beginning of the massage. Bellanina Facelift Massage. A great add on for a fun spa day with lasting and dramatic effects! Before and after photos are taken that proves the postively uplifting effect of this warm and pampering procedure. Hot towels, trigger points and uplifting stokes to tighten and firm while softening the skin for a radiant glowing complexion. The Bellanina signature Honey Lift product is a unique part of the process that's like no other. A pack of 3-5 is recommended for sustained gradual results but you'll see immediate results after the first pampering session. Feels luxurious! Deep Pressure. It's not deep tissus. UltraLight is a superficial topical massage and a huge stress relief. It completely calms your central nervous system while stimulating your skin sensations and uses fingertips or fingernails. It's relaxing on a whole other level, This modality can be oil-free. The Swedish is a light touch massage with little pressure and totally relaxing on the table. Complement deep pressure or sports massage with dozens of therapeutic stretches. We offer therapeutic stretches for the 90-minutes or longer massages. It's your birthday, or not! Pamper yourself today with our 90 minute, 2-Hour-long or 3-Hour long massage session. It's actually quite popular, so go ahead treat yourself, you deserve it. Our longer massage sessions are exponentially more therapeutic, because it relaxes your heart rate for extended periods of time. Longer massages are highly recommended for cardio patients, clients with stints, bypass or heart monitors. It can be effective for blood pressure issues, diabetes and even erectile dysfunction. We recommend scheduling at least a day in advance for longer sessions. 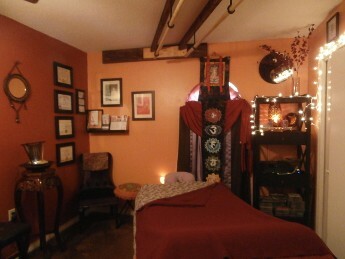 At Spiritual Massage we're qualified and fully trained in several healing modalities. Pranic healing Levels I-III, Reiki Levels I-II and The Reconnection complete certification from Dr Eric Pearl. See the Reconnection websites for full details. Contact us in Fort Walton Beach, Florida, for more details about our relaxing Esalen massage and rejuvenating sports massage. Saturday, Sunday: 10:00 a.m. - 3:00 p.m. Gift Cards now offered. Pay here and get or send it now! View On AirbnbClean/quiet NICE room & bath right by front door!